The What-Not Shop will showcase items for sale by FOTSC, Inc. for fund raising. Most will be books and craft items donated by the membership. Robert E. Tuckwiller grew up on a farm near Lewisburg, West Virginia. The next to youngest of five children, he developed his interest in art at an early age. He recieved his B.S. degree from Concord University, in Athens, West Virginia. Acclained as a realist, much of his work depicts the quiet beauty of pastoral country settings and the natural environment. While Robert enjoys hiking, biking, and canoeing to find his subjects, many come from leisurely drives throughout the mountains of Virginia and West Virginia. 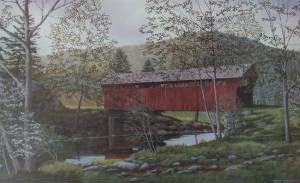 Today, Tuckwiller's award winning work can be found in more then 26,000 private and corporate collections throughout the United States and abroad. He has released 97 signed and numbered limited edition prints, 57 of which are now sold out. Details: Print price is $60. Limited edition offset lithographic print. Edition of 500 signed and numbered prints. Image size 13X21. Shipped flat for $10 anywhere in the United States. "The History of Gap Valley" is the first in a series of books to be published by Friends of THE Second Creek, Inc. 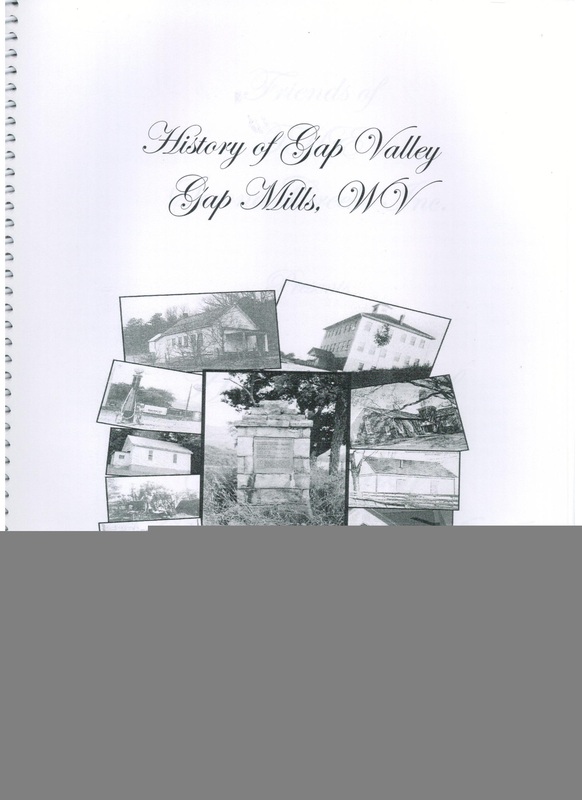 This is a very interesting read and is a comprehensive historic time line of the settlement of the community of Gap Mills, WV and the surrounding area. This work was done by Dr. Barbara Wickline Rasmussen of Morgantown, WV as a part of the effort to get the Gap Mills community on the National Register of Historic Places. Two additional books are now available from FOTSC, Inc. "Gap Mills Remembered" is the first of a collection of oral histories that are not only very interesting and informative to read but really take one back to the time that the person is remembering. FOTSC, Inc. is constantly collecting oral histories and more will be published as soon as enough have been obtained to put together for another book. 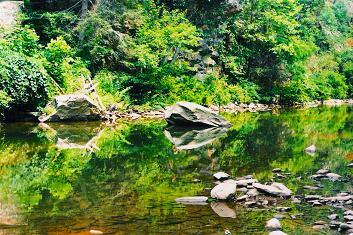 "Points of View" is a large history of the Hoke Family of the Second Creek water shed. It is filled with photos and remembrances of this large and very extensive family. This is from the work of Dixie Lee Hoke/Webb and compiles many years of research and hard work. A really wonderful work of art. More items for sale will soon appear on this page.